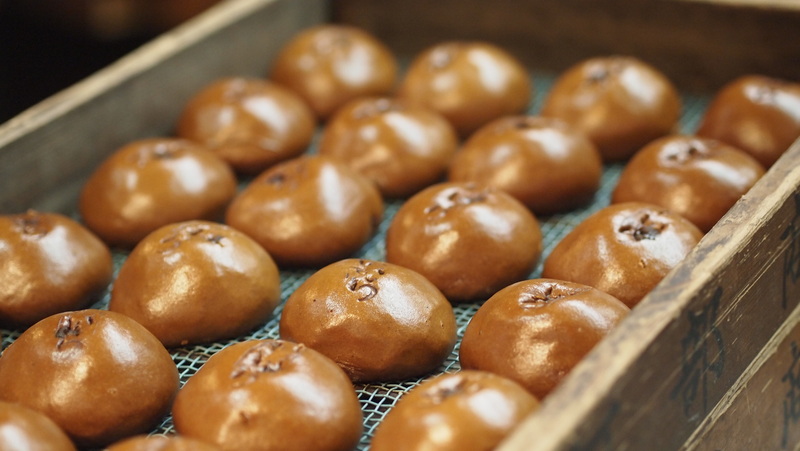 Manju is (a bun with sweet beans paste) one of Japanese famous sweets. The sweet red beans called Anko is wrapped by the bun made with kneaded flower, then it is steamed. Many peoplel enjoy them and it is also used as a thanks gift of wedding or baby birth. The Manju in Atami is called ‘Onsen-Manju’ due to the local legend, which is they used to be steamed with Onsen hot water in Atami. You can find many Manju shops in Atami. Our best-seller originally made ‘Iira-manju’ got the grand prize in 18th Japan sweets exhibition. We use Azuki beans from Tokachi area in Hokkaido. There are three kinds of flavor, Brown sugar, Maccha and Japanese plum. We do not use any preservatives to keep the original taste. Please eat them before the expiration.